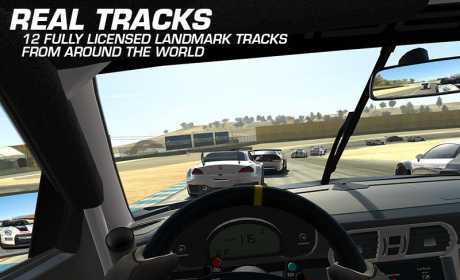 Real Racing 3 APK + Mod Is a racing game . 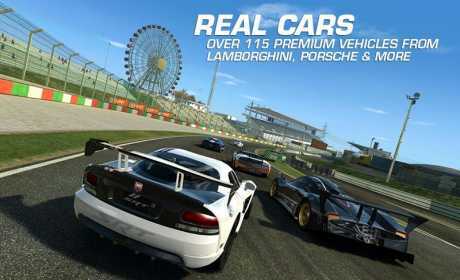 Download Real Racing 3 APK + Data (Aderno,Mali,Tegra,PowerVr) + Mod (unlimited Money,Unlocked) APK from RevDl With Direct Link . Have you ever experience the biggest car racing ? Real Racing 3 is always receiving support for new devices and you can play it on your android device . If you want , you can play it with your friend . choose your car and start racing . 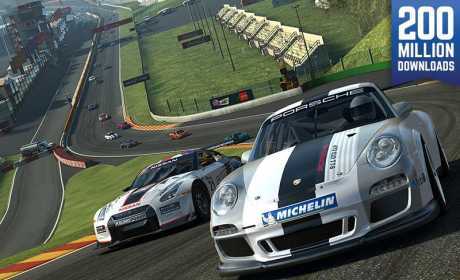 we prepared Real Racing 3 apk for Adreno , Tegra , Mali , PowerVr. also you can download data for Tegra , Adreno , Mali , PowerVr. You need to download data youre self from youre device ! Hi revdl. This is game can’t play multiplayer? I dont see where the menu multiplayer online?. Mod apk can’t play multiplayer? where to download the obb?? From where to download the data? Thanks your mods works perfectly, and this also worked for me. Hi RevDL, I love the work you put in for us. I downloaded modded file after extracting the file copied it to android data folder but still says it still needs 1 MB of data to complete? I tried it with copyin the file into obb folder and it says it needs 470 MB of data to complete. What am I doing wrong? Thanks, RevDL! Okay, I figured it out for those who will be downloading the game. 1. Check for correct GPU. Download appropriate file. 2. Extract folder and copy into Android/Data folder and not the OBB folder. 3. Start the game offline. Side note: As far as I know, the modded game’s offline with no multiplayer functions. Why the car is can not upgrade..? My Mobile its Mali GPU , can Shall I use data / apk Tegra ? what is the best mod apk ??? Which apk shld i download…my phine is mi4i..??? Can you mod speed, accelaration,handling And brake ? Plsss upload adreno 4.2.0…. ?? Hi. Thanks guys for a wonderful opportunity to play mega mod. You have something to do about NASCAR. Otherwise it superb. I suggest everyone that In this website “REVDL” , you are get any game esily. And however I give 5/5***** for this website. Can you mod speed hack, stupid a1s/rival, and anti ban for this game ? Pls upload adreno 4.2.0 mod apk….!!!! Even though I pasted the data file (1.7 GB), the game is still asking to download an additional 400 MB. What should I do? Please help quickly. Download from apk in app store , next you can use lucky patcher . Pls tell the difference b/w megamod 1 & megamod 2 ? Can i play it in zenfone 5 whit gpu powerVR ?? And thanks once again Dev I tried many sites but this site’s data worked for me..
Is this the latest version??? I think you put it in obb instead.? where is v4.1.6 DATA ??? Please upload 4.1.6 mod apk of adreno….!!!! Hi,,,For 5.0 lollipop Which one I have to download???plz…. Hey what will be happen if instal GPU Mali into phone with GPU Broadcomm Video? That’s will be fine? Or something? Does not seem to work, just the basic start with basic money. no mods?? ran to set up files in Andriod/data/..r3. It’s work but I can’t sign in with my Facebook and Goggle. Thanks Revdl for this awesome game. it works fine in my unite2.. and yes it is offline also. Which one should I download for v4.0.3 MegaMOD1 ? ur link for download to slow dude..
Why has my joy when it’s finished the game guns could be road? How much size after ekstrack for mali?? Xperia c support this game? The mod apk is powerVr does it mean to download the powerVr data for smartphones? I need a reply thanks. What internet speed required for first play? Does s3 gt 19300 can handle this game…..
Could you make a torrent for mali data please! Is work with Mali 400 ? Okay, finally found the solution, the data should be copied to “android/data” folder and not in obb, the instuctions given were wrong by the admin and also download the mod apk,install it and open it “online”(Data or wifi connected) as it needs to download 1 or 2 mb for the first time and once that is done, the game will start. O.k. It works, I just had to move everything into Data folder, I have a question. Could I be banned from the game is I start with all those resources? Because I would like to continue with the game at the point I saved it last time. How can I reset the money and gols to zero? then then when the game seeks my values they are the same that I left the last time when I played RR3. I am not ROOT, and I am not going to be ROOT only for installing a game. I don’t find that folder, where is located OBB? android/obb/ there is not a folder named OBB on android directory. Which version i download ? copy folder data in external or internal memory ? ,my internal memory only 2 GB ,any solution ? mine is already in phone memory as my phone has no expansion slot(xiaomi MI3),any solution? I have more than 5gb free in my phone memory, why would i use foldermount? please tell how to add the game data ..?? added to phone memory or sd card? Which file manager use for this zip????? what is the pasword for intructions file in data file? After extracting the rar file it says the file is encrypted. i downloaded the adreno data file. hey, my phone has snapdragon 800 and adreno 330 gpu, i downloaded the adreno data, but i want the mod apk for my phone, so which apk to download, as the mod apk listed above says for PowerVR,and do we need to play this online at first or offline, please provide all the information . yes i did, but when i open the game, it is asking to download additional 455mb of data,and even if i keep it for downloading, it does not, it just gets stuck at 0.7%,and it does not allow me to run it offline, please help and reply Sir. please help and reply ASAP.